Wisteria Amethyst Falls is a native species of North America and is a more compact variety than its Oriental cousins, it is ideally suited not only for growing in the garden, but also for large pots, which can easily be be placed under pergolas or arches to transform them into a charming feature - perfect for that cottage garden look. If the garden is large enough, then plant them out against the wall of a house for an incredible late spring and summer display. The dense clusters of lilac-blue flowers seem to drip from its twining stems and they emit a delicious fragrance, so make sure you plant it near a seating area or entrance if you can to enjoy this fragrance. 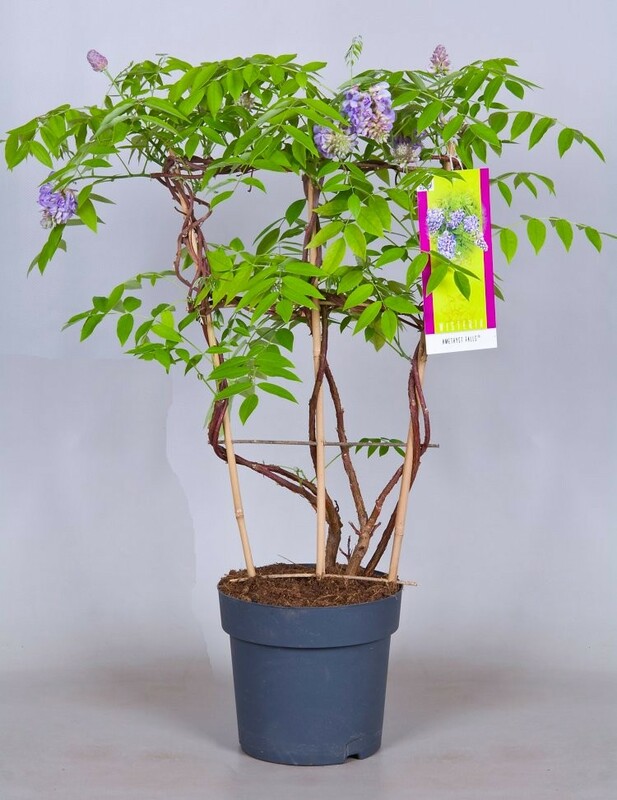 Wisteria is one of the best loved climbing plants. It's extremely versatile and provides a spectacular blossoming of flowers. This variety 'Amethyst Falls' not only flowers in the spring, but should repeat flower in the summer. 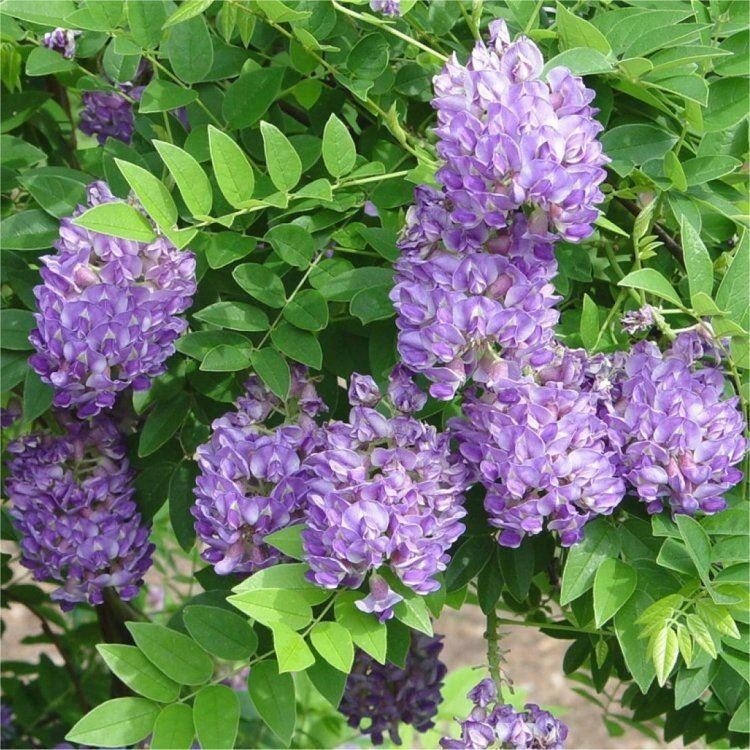 Unlike most wisterias, this variety differs in that it has a compact, almost dwarf habit, and is easily kept to a sensible size - it's ideal for covering just part of a wall or fence. 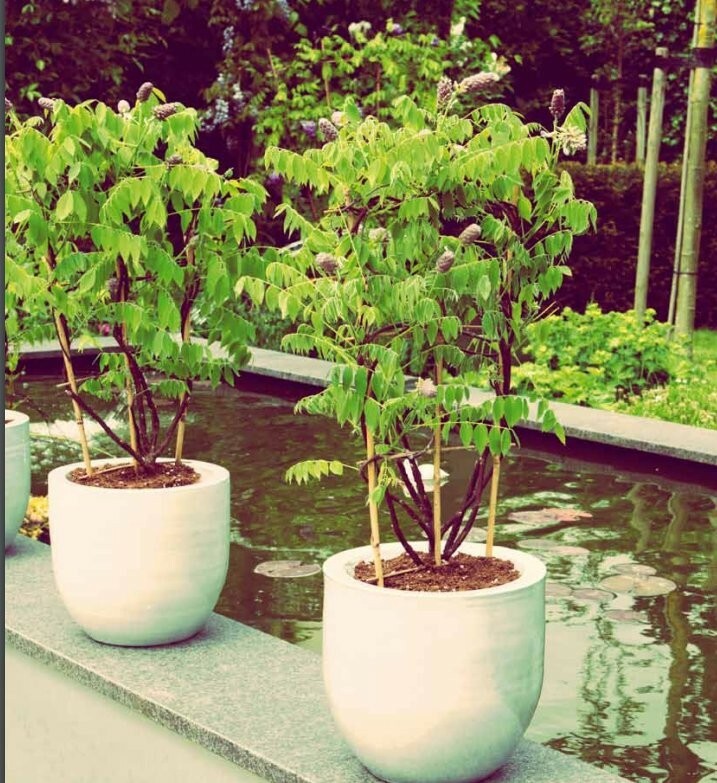 Easy to keep - just plant in full sun or part shade in well drained fertile soil. Supplied in bud and flower in season, trained on a trellis in approx 7.5 litre containers, these are well established substantial plants.